Without any shadow of a doubt, Premier League outfit, Tottenham Hotspur, have been one of the most productive sides in the English top division for the last couple of seasons or so. Under the stewardship of Mauricio Pochettino, the Lilywhites have been striking the right chords and have been chalking stupendous results, more often than not, week in and week out. In the process, their defensive midfielder, Victor Wanyama, has undoubtedly been one of the most reliable and sensational players for them. Wanyama joined Spurs in the summer of 2016 and, when fit, is one of the first players find a place in the starting line-up of Pochettino’s side. With the manner he dictates the tempo of the game from the middle of the park and shields the backline in a resilient fashion, he has become one of the most galvanizing players for his side. Besides, he reads the game really well and has emerged as a player whom the North London based side can thoroughly rely upon. Interestingly, in one of his recent interviews, the 26-year-old stated that he would love to make a return to the Celtic Park and ply his trade for his former employers, Celtic. Wanyama surfaced whilst playing for Beerschot, before making a move to the ranks of the Celts in the summer of 2011. After his transfer, his talents started to get recognition from far and wide and after two dazzling seasons with the Bhoys, he was lured to the St. Mary’s by Southampton. During his time with the Scottish Premiership giants, he bagged the league title twice and also lifted the Scottish Cup in 2013. He continued his progress and scintillating run of form with the Saints as well and that prompted Spurs to sign him for £11million. The Kenyan international’s desire to reunite with Celtic should interest the Celtic fans, but then, considering how big a club Spurs are, a return doesn’t seem to be on the cards at this stroke of the hour. Wanyama’s contract with Tottenham Hotspur is due to expire in the summer of 2021 and it goes without saying that he must be keen to win major honours for his current employers. 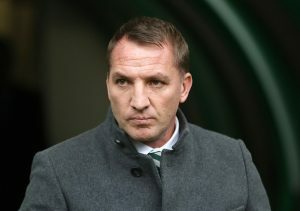 Nonetheless, a move at some point of time in future should help Celtic, for they do have some quality players in their arsenal and a complete package like Wanyama would ensure that the troops dish out appealing results not only in the domestic competitions but also in the Champions League. Real Madrid Boss Keen On Securing The Services Of Lyon Supertalent: Right Choice By Zidane? Everton Really Interested In Bringing In This 18 Year Old Leeds United Star: A Canny Move? Celtic Eyeing A Move For This Championship Fullback: A Much Needed Move By Rodgers? Celtic Ponder Upon Making A Move For 33 Y/O In Demand Championship Ace: Best Bet For Rodgers? 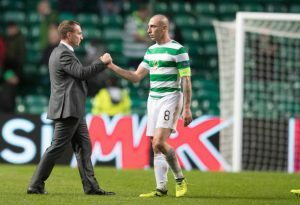 Predicted 4-2-3-1 Celtic Lineup For The Big Game Vs Aberdeen: Rodgers To Field His Strongest XI?